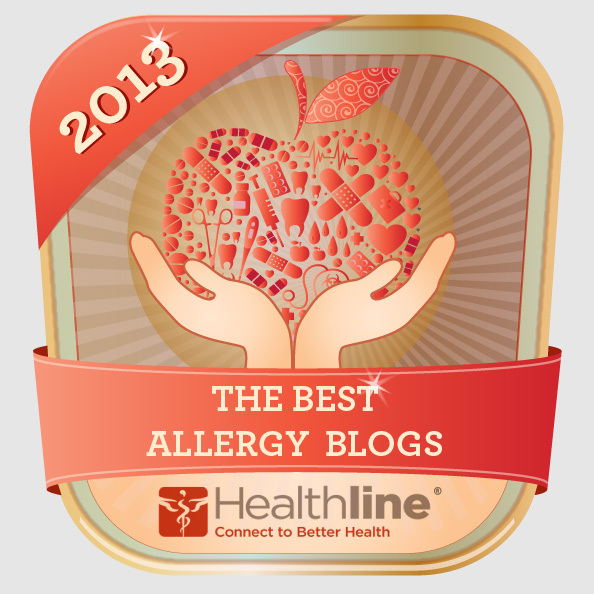 I am honored that Learning to Eat Allergy-Free was selected as one of the best allergy blogs by Healthline editors. I was even more excited to see the rest of the top 19 (I have no idea why they chose 19). The list includes Kids with Food Allergies (a non-profit organization that I sit on the board of), and some of my own favorite blogs, including Anu Rao’s Allergy Foodie, Jennifer B’s Food Allergy Buzz, Lexie’s Kitchen, and AllergyEats blog. Also included were the blogs of two of my favorite cookbook authors, Kelly Rudnicki and Cybele Pascal. What’s even more exciting is that I will be joining these two awesome ladies on a panel discussion about recipe development in November at the Food Allergy Blogger Conference (#FABlogCon). How lucky am I? And speaking of recipe development – if you are planning to attend that session (or wish you could), what questions would you like to have answered? Check out the full agenda for FABlogCon here.